The Italian culinary scene is really rich. Saying that each region has its own kitchen is restrictive. Actually we should say that every city has its recipes that can be or completely unrelated to those of the neighbouring city or a variation on a recipe typical of the area. Tuscany is located west of the Apennines, overlooking the Tyrrhenian Sea. It has a triangular shape. One side follows the coast and the other two move into the countryside up to the Apennines, so including small or big hills or even mountain. Therefore it’s no wonder that Tuscan cuisine is rich in both meat and fish. But one of the most typical items of this region is the bread. 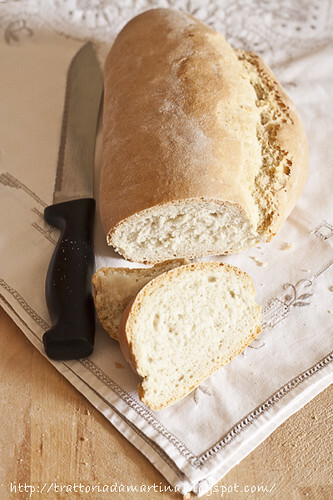 Tuscan bread is without salt and that’s what makes it unique among the other Italian bred. Among the various cities Florence is famous for the “bistecca alla fiorentina” (T-bone steak), “ribollita” and “schiacciata con l’uva” (crushed with the grapes). Prato is famous for the well-known “cantucci di Prato” (nooks of Prato), typical dessert always eaten with “Vin Santo”, a sweet and amber wine in which these small cakes are dipped before being eaten. Grosseto and the Maremma area are famous for “Acquacotta”. This strange name comes from the poorness of the main ingredient: the water. What’s more miserable of boiled water? They add to the water: bread, salad, eggs, mushrooms, cheese and seasonings as oil and salt. 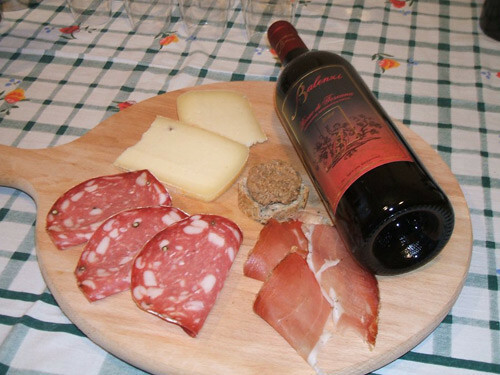 The typical Tuscan antipasto is based on cured meats and crostini. Crostini are small slices of toasted bread on which a variety of sauces and condiments are laid. 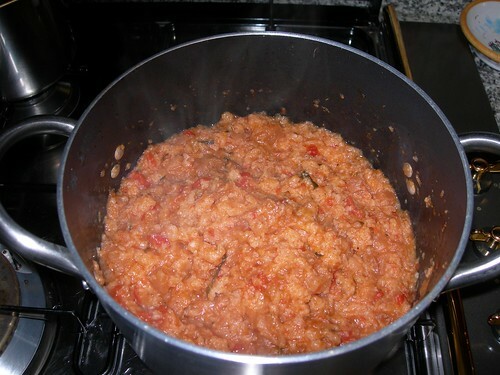 Among the first courses the “pappa col pomodoro” is a traditional dish. It comes from the poor tradition and its ingredients are wet bread cooked with tomatoes and seasoned with oil, salt, garlic and basil. The city of Livorno is famous for the “cacciucco ” (fish soup). This is more than a first course; it is a unique dish, which includes first and second course. This is a kind of soup of bread soaked in fish broth. The fish broth is carefully prepared with different varieties of fish, at least 5, and this fish is thoroughly laid over the bread, so that the second course come together with the flavourful and aromatic soup. This is actually a deceptively simple dish: grilled steak. What makes the difference is the type of meat (beef must come from the Val di Chiana), the thickness of the meat (which can exceed 10 cm) and the time and method of cooking (it must remain red inside). Tuscany is also very popular for the cured meat. Among these we remind: the “finocchiona”, the “lardo di Colonnata”, the wild boar sausages, the Tuscan salami and the Tuscan prosciutto, which is characterized by a large amount of salt. Tuscan desserts are definitely a lot. First of all the “panforte”(a sort of gingerbread), typical of the city of Siena, but now known internationally as a Christmas cake; the “tiramisu”, delicious mascarpone cream with biscuits soaked in coffee. Not to forget the “castagnaccio” (chestnut cake) made with chestnut flour, raisins and pine nuts. A culinary tour in Tuscany is challenging and has to be long enough so as to leave the time to appreciate the beauty of the landscape and art. An important tip: carefully choose the restaurant! Prefer the “trattorie” in small towns, where tradition is still very strong. Castagnaccio, a chestnut cake, typical of Tuscan Italian Cuisine. Italian Cuisine: Pasta e Fagioli or Pasta and Beans. Italian Cuisine? Yes, Tortellini panna, prosciutto and Piselli!! !